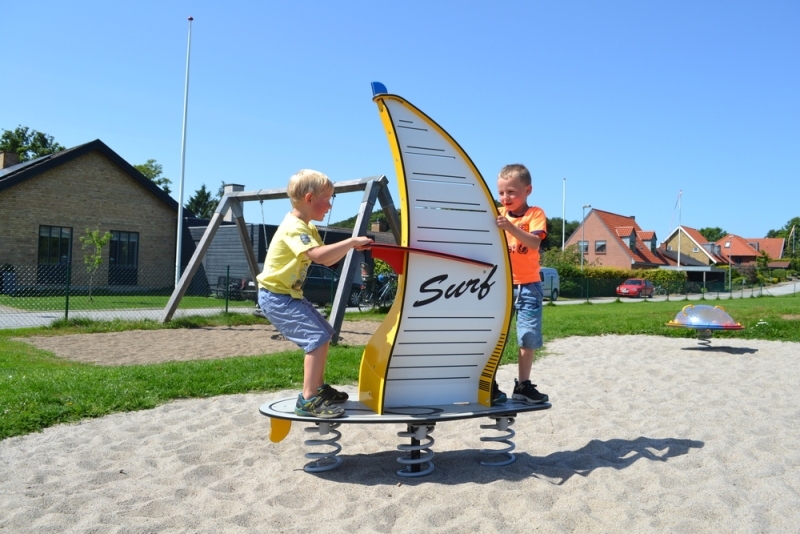 Windsurfer springer seesaw with hand grips and foot rest mounted on three springs. The seesaw springer encourages movement and allows children to practice different ways of moving in response to specific challenges posed by the environment. With the capacity of the unit for 2-3 children, it develops children’s social and cooperative skills. Also available in blue and black colours.